Capacity Up to 120 M^3 / Hr. Head Up to 50 Meters. 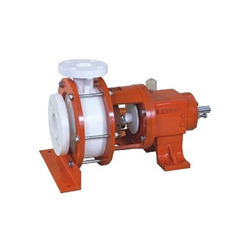 With the aid of latest technology and sophisticated machinery, we have been able to offer a wide range of high-quality Non Metallic Pumps - Polypropylene Pumps - PP Pumps. These products are used in effluent treatment plants, scrubbing corrosive gases, and water jet ejectors. Offered range of pumps is available with single or multiple discharge lines that ensure high efficiency of these products. Capacity Up to 80 M^3 / Hr. We are one of the leading suppliers, traders, and exporters of high-quality Metallic Process Stainless Steel Pump. 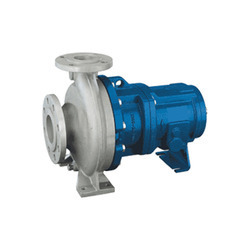 These pumps are widely used for various industrial applications such as in thermal fluid, chemicals, and oil and gas. In addition to this, these products are used in water circulation applications. Precisely engineered from high-quality metals and alloys, these products are known for their attributes such as easy installation, corrosion resistant, thermal resistant, and excellent performances. Up to 100° Centigrade for U.H.M.W.P.E. Looking for Metallic & Non Metallic Pumps ?